this is the cleanest m3 i've seen in a long time. talking about OCD..the paint is immaculate as well as the interior. the car looks like it just came off the show room floor. Last edited by daytonaviolet; Mon, Jul-31-2017 at 10:36:48 PM. Hell yes...what a car!!! Best of luck with the sale. Hope you can avoid the lowballers/time wasters/tire kickers with this one. Thanks fellas. I always planned to keep this one as part of the collection but the time has come to let her go. Ohhhhh the dreaded KBB buyer. *sigh* There's going to be plenty more where that came from, unfortunately. I experienced some real special members of society when I listed mine for sale. I didn't list mine on the forum because I knew what to expect. You've got a hell of a car here. Be patient. That right buyer will come along. Mileage is just a number here. A single owner, '06, 6MT, incredible color combo, perfect maintenance history, tasteful mods....you'll do just fine. I'm sure I'm not telling you anything you don't know. Ha! Ugh. The dreaded craigslist troll. Put it on eBay instead. Sounds like a nice car. At that price though, I would probably put up more than one picture. Maybe post a link to all the photos if you're feeling lazy. I'm curious to see what the car looks like. I'll be posting more pictures after Thursday 8/3 when the entire car gets polished by the shop that just resprayed the front half. But any serious buyer will contact me directly or come look in person if local. 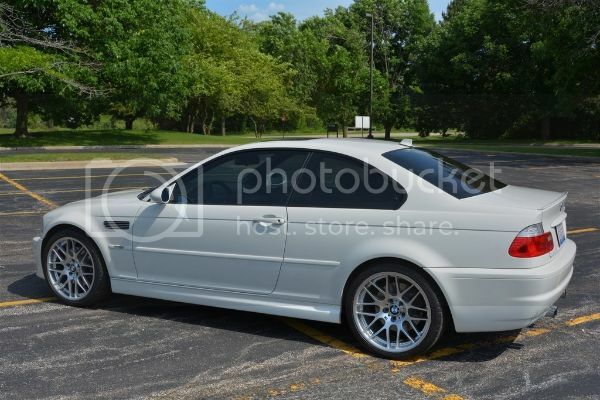 Wow, maybe the best M3 example you can buy. 06, ZCP, 6MT, and the best color combo possible. Good luck! Its still a 100K+ miles, non-original paint, for A LOT of money. All times are GMT. The time now is 02:20:59 PM.